One of my favourite episodes thus far! If you haven't watched this episode, you gotta watch it now!!! There's a few spoilers below, so read them at your own risk. So many things happened in this episode. Face-off between Director and Ji Sung, which ended quite satisfactorily. Then Ji Sung almost getting into a fight with some thugs but Ri Ta appears in time to calm him down. What I love even more from that scene is that Ji Sung is already exercising a lot of self-control; he wasn't some beast that was going to hurl and needed Ri Ta's help. I like it when he already shows independence and determination, it really makes him a very appealing character! Then Ri Ta accompanies Ji Sung as he falls asleep, with his last sentence being "Besides my mum, you are the first person to make my heart feel something." Ri Ta admits that after her parents' death, he's the first person that makes her scared once again - that the people she loves and depends on will one day disappear. Ri Ta confronts her uncle and aunt the next day and finally realises that she has been kept out of the loop not because they had her interests at heart, but because both of them have their motives. The patients in ward 21A are getting really violent because of the tenuous balance in the third vaccine, and I really love the tension in this episode! 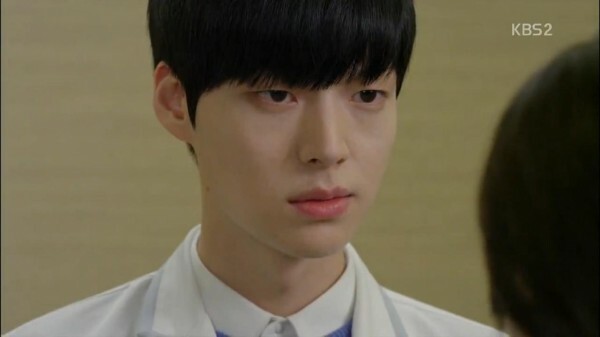 Doctor Jung learns that it was the Director who killed his father, and Soo Eun is pissed that no one is telling her anything, "This virus is really a virus, it taints relationships." Much as I emphathise with her on the horrible feeling of being left out, I think it's better that she doesn't know anything. 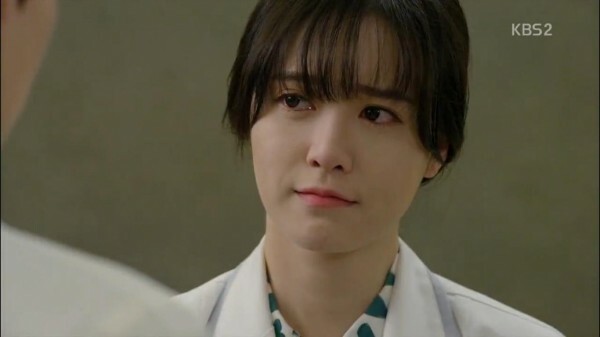 She cannot protect herself and she has no one to protect her, unlike Ri Ta who knows that she can count on Ji Sung. Ji Sung finally realises the concrete reason for wanting to become human - he wants to love with a human heart, with its warmth, and then together with the woman he loves, closes his eyes at the end of his life journey and rests in peace. He wants to be a window in her empty, closed room, even if it's just a small window. Ri Ta confesses that even if he's not a human, she still likes him. "The warmth of your body was never that important to me." Ji Sung steps forward and leans in for a kiss. Well of course this isn't the BEST kiss scene I've watched, neither does it have the BEST lead-up, but in a whole, I really like it! Ji Sung is so touched about how she was there for him when he needed her, even when she was having troubles of her own. I like it that he wants to become human for her, and she conversely thinks that he's fine just the way he is. It's just such a sweet, innocent relationship that feels very wholesome and I love it. Of course, Ji Sung's really adorable when he helps Ri Ta wipe her floors. He claims that her floor has shoe wax - no matter how hard he cleans, it's always black. HAHA. Really love the last scene - Ga Yeon learns that the Director might harm Hyun Woo and sends Ji Sung a warning message on a private number. Luvvy warns Hyun Woo of the incoming infected and he gets prepared, but what catches him off guard is that all the infected already wear glasses to protect themselves from the blue rays. Ji Sung rushes home and shouts, "Hyun Woo!" He sees Hyun Woo being choked by one infected, and he transforms into the infected Ji Sung.